Yep. I worked around that one and figured it out! I’ll be writing more soon-ish. Have you come any further with your docker SSIS surveys? I have, I just need to make time to blog about it. looking forward to your blog and the way you cracked this. 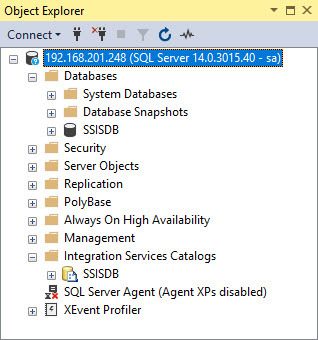 Also getting that SQL Server Agent enabled ;-). Would be lovely if you could share this soon… I see there is more guys trying to solve the same thing. Thanks a lot for your efforts! Previous PostPrevious Presenting Moving Data with Azure Data Factory at SQL Saturday Charlotte!